The Digital Research Library of Illinois History Journal™: The Late Eighteenth Century Illinois Counterfeiter, John Duff. The Late Eighteenth Century Illinois Counterfeiter, John Duff. 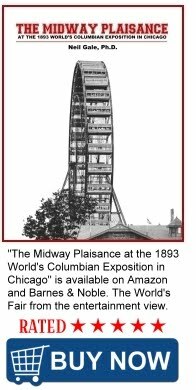 In the early nineteenth century, money followed the waterways in Illinois. Trade routes developed along the state's rivers, connecting Illinois to the rest of the fledgling nation. In southeastern Illinois, along the Ohio River, something else followed the waterways - criminals. Preying on the burgeoning river trade, these shady characters took advantage of the seclusion of the frontier to ply their illegal trade. One such scofflaw was named John Duff (or just Duff, or John Michael McElduff, or John McDuff, or Jean Michel Duff, or one of several other assumed names). To many, though, he was known simply as Duff the Counterfeiter. Duff served in the American Revolutionary War in the Illinois Campaign (1778-1779); Capture of Kaskaskia and Cahokia (1778); Siege of Fort Vincennes (1779); and in the Battle of St. Louis (1780). 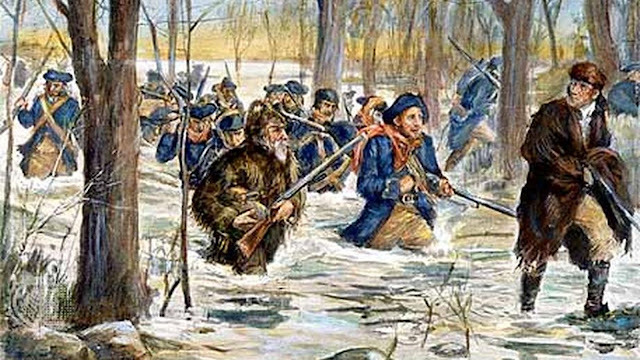 Private John Duff served in the, ranks of, George Rogers Clark's Illinois Regiment, walking through chest-high, icy water, on the march to Vincennes, January 1779, in a painting, by Frederick Coffay Yohn. Around 1778, Duff was living in the Illinois Country, later referred to as the "American Bottom." While leading a group of longhunters (a longhunter was an 18th-century explorer and hunter who made expeditions into the American frontier wilderness for an extended period of time) returning to Kaskaskia, Illinois, John Duff, John Saunders, and the rest of the hunting party were intercepted by Colonel George Rogers Clark's soldiers and his Virginia frontiersmen soldiers, near the ruins of Fort Massac (Metropolis, Illinois). Suspected of being British spies, they immediately took an American oath of allegiance, where Duff and his men joined Clark's Illinois Regiment, Virginia State Forces. Duff enlisted into Captain John Williams' Company in Cahokia and rose to the rank of sergeant in the Illinois Regiment. In 1780, while Duff was posted with the garrison in Cahokia, the British attacked St. Louis, which was under colonial Spanish rule, and American-held Cahokia in 1780, with a motley army of French-Canadians, fur traders, and their Indian allies. McElduff and other soldiers were on reconnaissance, for General Clark, observing the British movements, near the Mississippi River. The group was attacked by an Indian war party, barely escaping with their lives. The combined American, French, and Spanish forces successfully repelled the enemy assaults. In the George Rogers Clark Papers and Illinois court records, Duff was referred to both as "John McElduff" and "John McDuff." In the mid-late 1780s, Duff was living in Kaskaskia, Illinois and was in business with two brothers of the captain of the Ohio County, Virginia Militia and Revolutionary War Patriot, Samuel Mason who later became the notorious river pirate. According to the French Kaskaskia records, the Duff name was recorded as, "Jean Michel Duff" and "John Michael Duff." In 1786, John, Daniel, and another son of Thomas McElduff sold land tracts for two different property deeds. There was a Daniel McElduff and McDuff who was also at Kaskaskia in the 1780s and was likely the brother of John Duff. When the McElduffs first arrived, the pre-American Revolution, British-controlled, French-speaking settlement of Kaskaskia was not recorded. Daniel McDuff owned slaves while residing in Kaskaskia, as was the custom of transplanted Southerners and the French creole population in the Illinois Country. After the departure of the bandit John Dodge, who lived in the area from 1784-1790, John McElduff was elected, in 1790, as one of six judges, to the Kaskaskia town court. According to the French records, on February 6, 1794, John McElduff and Seddy, his wife, sold a dwelling and grounds in Kaskaskia Village, to J.R. Jones for $200; this Jones may have been John Rice Jones, an Illinois Regiment veteran, noted politician, and the first lawyer in the Illinois Country. After 1790, John Duff was associated with the South Carolina counterfeiter, Philip Alston, the Virginia river pirate, Samuel Mason, and the North Carolina serial killers the Harpe brothers, at Cave-in-Rock, in the U.S. Northwest Territory, where he learned the illicit business of counterfeiting, known as "coining," where he could make a lot money in criminal pursuits. 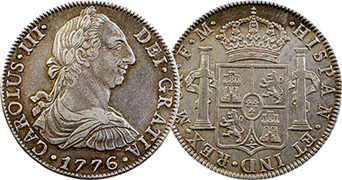 The Spanish silver peso (Silver Eight Royals Coin of Charles III of Spain, 1776) was the, most common, currency found on the American frontier. Counterfeiters, John Duff and his associate, Philip Alston were "coining" this type of money, at Cave-In-Rock. The "Spanish milled dollar" was minted in México and considered legal tender, in the United States, until the Coinage Act of 1857. Philip Alston was a South Carolinian of polished manners and good education who early in his life learned the art of counterfeiting, His specialty was not bogus notes so much as bogus coins. It must have been from Alston that Duff learned "coining" and Alston probably furnished the tools and dies for this manufacture, since Duff would hardly have the skill. Duff was spurred to this new activity by his discovery of a mine containing lead with a certain amount of silver in it, on the banks of the Saline River, in Illinois, which flows into the Ohio river not far above the Cave-in-Rock. A coining die, for the making of counterfeit half dollars, was found in the cave years later, which may have belonged to Alston and later to Duff. By this time, he had left the historical record and from this point on, he was referred to in folklore as, just Duff or "Duff the Counterfeiter." Even as a counterfeiter, John Duff was not a violent man by nature and he was never known to have killed anyone. There is an account of Duff blindfolding a woman to show her his stash of counterfeit silver clad lead coins in dozens of chests. Whether or not John McElduff and his wife left Kaskaskia permanently after 1794 is not known, but folklore mentioned John Duff, as owning a slave named Pompey and tales of his miraculously avoiding numerous attempts at capture and death from local regulator vigilantes and the U.S. Army. 1) According to Revolutionary Soldiers Buried in Illinois, Duff was murdered in 1805, while he was drunk, at the Island Ripple near the Great Salt Springs in Gallatin County, Illinois. The mouth of the Tradewater is on the Kentucky side and is used to describe the site of Flynn's Ferry, an early crossing point. The road from Flynn's Ferry ran to the Great Salt Spring. Later it became known as Ford's Ferry Road. The road from Shawneetown to the Great Salt Springs intersected the first road on the west side of where it crosses the Saline River. That crossing point or ford is called Island Ripple, or "riffle" as the local dialect pronounces it. The Saline River empties out into the Ohio just a few miles above the Tradewater. Duff was buried near the local salt springs. 2) For nearly, a decade, Duff had become a scourge along the lower Ohio River region. On June 4, 1799, a group of three Shawnee Indians and a French courier du bois guide were hired by U.S. Army Captain Zebulon Pike, Sr., (and the father of the namesake of Pike's Peak) father of the explorer, who was the commandant at the frontier outpost, of Fort Massac, which is now Metropolis, Illinois. This mercenary party was given orders to kill John Duff, which they did, at his house which, was located either at Battery Rock, according to the newspaper account, on the Illinois side of the Ohio River or across the river at what would later, become Caseyville, Kentucky as, recalled in the History of Union County, Kentucky. Shrouded in mystery, Duff's life and death stand as a reflection of the seamier side of life on the frontier in Illinois. 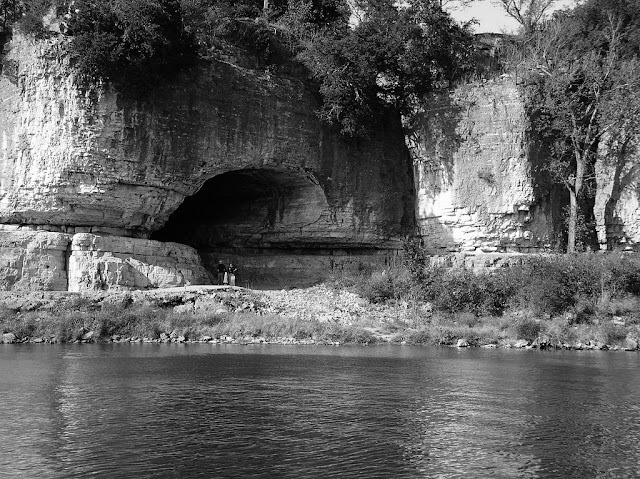 In years since there have been many searches for "Duff's treasure" in caves and other places along the Saline River, but all have been fruitless, at least as far as any records show.